RunKeeper has updated its iOS app with additional features for subscribers to its premium service. With RunKeeper DJ, users can connect to their iTunes Music Library for a customised playlist based on their workout goal for the day. Runkeeper DJ is exclusive to the RunKeeper Go monthly subscription service, which is available for a monthly charge of $10, or $40 per year. The extra features included in the premium model include prescribed workouts, a workout-training plan, data tracking insights, live feeds of your runs, and more. The new feature syncs music from your iPhone (including iCloud) and detects the mood and tempo of each song. When you are ready for your run, select the speed of your pace and RunKeeper DJ will curate a custom playlist for you. Version 6.0 also adds a few important updates, whether you are a RunKeeper Go subscriber or not. The app has been redesigned with a new colour scheme and a few graphical changes. The star screen has been revamped to provide quick access to important features, like setting a pace or distance target. With RunKeeper Go, subscribers can create a tailor-made workout schedule based on their current running abilities and future goals. 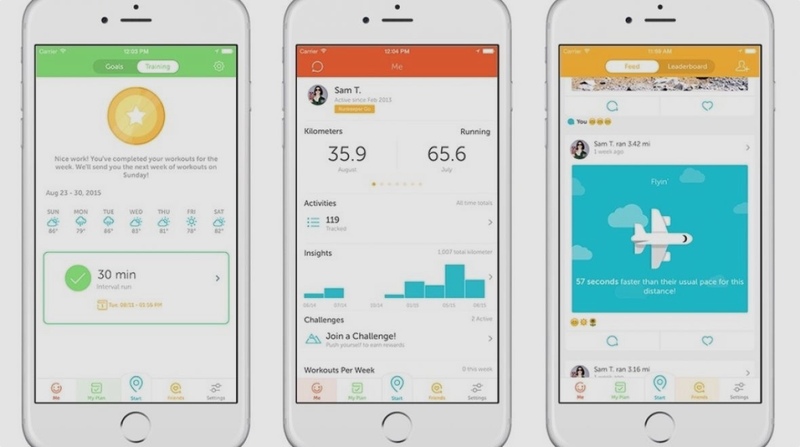 RunKeeper is free to download on iOS and Android and is compatible with a number of different connected fitness trackers. The DJ playlist creator is part of the paid subscription service offered by the company.